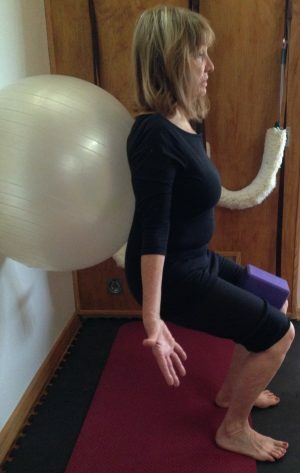 This hands-on certification program incorporates techniques of ancient yoga practices, modern Structural Yoga Therapy, Integrative Therapeutic Yoga, and Ayurvedic Yoga concepts, through the panchamayakosha model of yoga therapy. Students learn the complete cycle of healing by practicing all assessment techniques on each other, and participate in a “real-client” clinic day. At the end of the program students develop a thorough understanding of specific symptomatic presenting issues, as well as a greater understanding of the client as a fully integrative whole human being and deeper understanding of themselves in their own journey of enlightenment. Each intensive workshop explores advanced anatomy and physiology, and its relationship to specific structural and physiological issues within the body. Neurological re-patterning concepts and its practical uses in a therapeutic client interaction also are explored. NOTE: Please check with each individual school to confirm its requirements. This course has preparatory homework that must be completed prior to beginning training. After enrolling in the course, you will download the homework documents. A Ball Kit will be required for all FYT classes. It is an integral part of the experiential work and your personal development. The kit includes a 5″ Myofascial release ball, a small Slo-Mo ball, a Myofascial Foot Kit and one backpack carrying bag. Students have the option to stay at the Lalita Sanctuary or nearby lodging just outside of Tucson, AZ as well as purchase Ayurvedic meals, for Tucson dates. Housing and meals at trainings in other location are up to the student individually. After registration and full payment you will receive a welcome packet with lodging and meal signup information when applicable. Functional Yoga Therapy 2 is scheduled for November 2018 in Tucson. Stay Tuned for Advanced clinic opportunities, ayurveda specific courses, and more coming throughout 2018 and 2019.